While the impassioned marketing teams working on Oculus Rift, Vive, and other VR headsets are hard at work convincing everyone that a Tech Revolution has happened/is happening, it turns out that another one already happened. Albeit on a smaller scale and without kicking up nearly as much fuss. 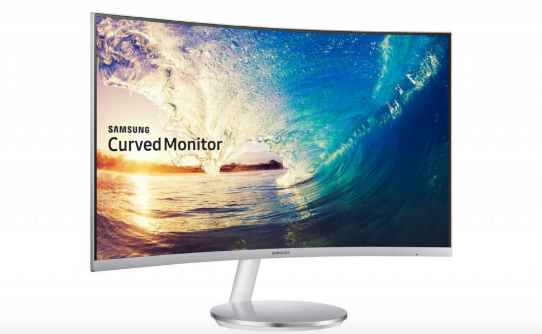 At least a million people out there are using curved monitors, it transpires, following Samsung’s announcement that they’ve shipped in excess of that figure since their first model in September 2014. Hey, coincidentally, do you know which games require a monitor? The best strategy games on PC, of course. Cool. Good chat. Samsung’s curved monitor range began with the 27-inch 4000R, so named because it featured a curvature radius of 4000mm. In the intervening years the company expanded their curved panel range, and others such as Acer and LG got in on the act too with rival gaming models. Samsung are still the kings of this particular castle, though. Their million plus units shipped account for around 85% of all curved monitors currently out there, which means (frantically taps at calculator) only around 150,000 curved monitors have been shipped by other manufacturers. Still, for a niche product that hasn’t been marketed very aggressively, it’s a solid user base. Having tried out gaming on a curved monitor for myself, I’m surprised to say the experience is genuinely additive. Whereas curved TV screens suffer that same conceptual pitfall as 3D glasses in that you need to be sitting very centrally to enjoy the best experience – screw everyone else who wants to watch – curved monitors are generally watched by a single person who doesn’t move around much. As such, having a screen curve towards your peripheral vision as you sit before it as actually very immersive. Will the curved screen replace the current standard 27-inch 1080p flat panel? Not in a million years. It’s very interesting, however, that it’s sold in such numbers without generating much widespread attention in the process.